The full story of Legendary Heroes is a long one, but it started with a promise. In November of 2010 War of Magic had shipped, it wasn't doing well and Brad promised to provide 2 free expansions to anyone who had purchased it. This is a very unusual thing for a company to do, but as an outsider it impressed me that Stardock was that committed to their games and their customers. So I went to Michigan to meet with Brad and I accepted a job at Stardock making video games for a living. Even though War of Magic released in August of 2010 the full team was working on it for support, balance and pacing issues until February of 2011. That's a long time to have the full team on a game after release, and at the end it was tough to step away from it (the temptation is always to spend a few more weeks to make it better, but it needed an overhaul). I didn't mind spending November and December on support because it gave me time to work on the design for Fallen Enchantress. My wife went in for back surgery in December, and her mother sat with her during the day, and I stayed with her at night. Much of Fallen Enchantress was written at her bedside with occasional breaks as she drifted in and out of her medicated haze. That sounds a bit dreary but it wasn't life threatening, and I fondly remember working on design docs all night in the quiet hospital. Plus they gave me all the jello I could eat. Fallen Enchantress was scheduled to take 9 months and come out about a year after War of Magic. There was a lot that I wanted to change so I broke the plan into two expansions. The first expansion was focused on everything outside of the player's empire, the world, tactical combat and magic. The second expansion was supposed to be focused on everything inside the player's empire, faction differentiation, the economy and cities. We started on Fallen Enchantress late in February on 2011. By the first week of July we were feature complete with everything that was planned (ie: we were through implementation and into the iteration phase). We started playing the game and we gave it to our alpha testers. Everyone's response was the same. They liked the new stuff, but the game still felt too much like War of Magic. It was the death blow and the worst possible news I could hear (made even worse because I knew it was true). So I went to Brad. The only solution I could figure out was to make both games as one, to redo everything, to double the time (and therefor the budget) to 18 months instead of 9. Remember, we were giving this game away for free to many, many people. We already knew there was a good chance the game wouldn't make any money even with a 9 month time frame, and that after we spent twice as long on the game we would still owe everyone another expansion. It was my worst day at Stardock, not because of anything anyone else did or said, but because my plan had failed. Brad and I talked and he agreed that we needed to double the time on the game. So off we went. Faction differentiation, cities and the economic model got designed and we went back into implementation to get it all working. The economic model was the hardest, it may seem easy to design (I designed a few dozen of them) and they aren't noticeable if they are done right. But when they are wrong they sink the entire game. They went through 3 major iterations until we found one we liked (at one point Brad and I were sending a economic designs back and forth daily). In October 2012, after 20 months of development time, Fallen Enchantress was released. We spent the next month on support before starting work on Legendary Heroes. Of course we kept patching FE throughout, but for the next 4 weeks after release the full team did nothing but fix bugs and balance on FE. During the development of FE Brad and I both kept running lists of things we would like to do. When we sat down to start Legendary Heroes we compared lists and then started work. We also read comments and suggestions form the forums, from reviewers and from the team. As you know the focus was on integrating Champions into the empire game, making champion progression more fun and improving tactical combat. And we added lots of new content and options along the way. At a personal level I also made a big step after Fallen Enchantress released by moving to Michigan. During the entire development of FE Brad was kind enough to allow me to stay at his house. Once FE was released my wife quit her job, got a new one in Michigan and moved. How many wives would leave a job of 15 years so their husband can follow his dream of being a game designer? She is a wonderful person and I wouldn't have any of these opportunities without her. But back to the game. Expansions are a different animal than making new games (even though Fallen Enchantress is billed as an expansion to War of Magic, I don't consider it one). We know what we have, we get the chance to round off the rough edges and go deeper with the things we really enjoyed. It's an ambiscious expansion that changes a lot of things. It may have been safer to let it be FE with more content. But we couldn't pass up the opportunity to improve the game. Go big or go home continued to drive us. We released the beta and all the feedback, both positive and critical has been appreciated. Some folks like Parrottmath supply fixes with their bug reports which is a dream come true to a game developer. But everyone who posts here, plays or talks about the game is a part of our community, and we make these games for you. The following is an incomplete changelog of the changes from Fallen Enchantress to Legendary Heroes. The actual changelog is over 200 pages long. There are also lots of smaller tweaks and changes that simply don't get updated into the changelog. I may change something a dozen times while I'm trying to find a good balance, and going to update the changelog each time would slow me down. Swarm- All melee units get a bonus to accuracy and damage for every ally that surrounds the enemy they are attacking. Fame- Clearing lairs, completing quests and building some improvements gains Fame for your faction. When enough Fame is earned champions will offer their services to you. Two champions are always offered and the player can only select one. Champion level up system. 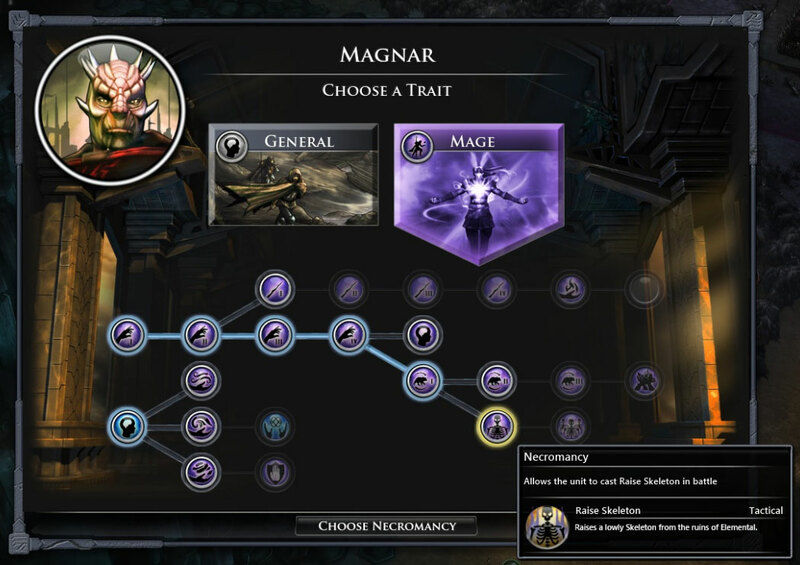 Champion now have access to a trait tree that they can pick from when they level up. Produce resources in your cities. Instead of constructing improvements and training units you can set your cities to produce additional wealth, research, growth or mana. Huge Map type. Our biggest map size yet. Steam Integration- Cloud saves of games, lots of new steam achievements and automatic patching. City Count Penalty- You now get an Unrest penalty in all of your cities based on the number of cities in your empire (the more cities, the more unrest). This makes Unrest a bigger issue for larger empires and helps equalize the production and research of large empires vs small empires. Food Growth Bonus- Cities with access to more unused food get a growth bonus. This way high Grain cities can not only grow to a larger size, they will get there faster than low grain cities. Lots of new tactical arenas. In general enemy armies start a lot closer to each other so the battle can start immediately (and ranged units are in immediate trouble if you don't bring units to defend them). Added a Production Pace slider to the game setup options. Player can now modify the research pace and the production pace seperately. The World Difficulty slider now effects the level of monster in the world. Set it down to have monsters start out at a lower level than normal, or up to have them start out higher. Trog- Berserk ability puts the unit under AI control , but the unit gets to go immediately and gets a bonus to attack and Initiative. Berserk units can't cast spells. Berserk doesn’t do damage per round anymore. Added support for spells that are multiplied by the count of units in the casters stack- This is used by abilities like the Quendar's Flame Tongue ability so group of trained units can use spells. Brood Hunter- These half spider creatures are fast and armed with a longbow. They are usually found with spiders than immobilize and weaken enemies so they can pick them off at range. Brood Warden- Armored half spider creatures that are even better defenders to Brood Wardens and can quickly close with their pikes and high movement. Hergon- Half wild boar, half brick wall. Hergons have high movement and everytime they attack a unit they knock it back a tile, messing with defense lines and attempts to control the battlefield. Hergon Sow- A smaller version of the pushy male of her species. Lich- Powerful undead spellcaster. As if dark wizards weren't bad enough, they get worse when they die. New Champions- All the champions have been redone for Legendary Heroes to make them more unique. But the following champions are brand new and can be gained through quests or they may offer their services. Raza the Wild- Wilding Shaman and powerful mage. He has access to the same Coal Stones ability as his wild kin. Kasst- Fast Brood Warden warrior with an innate resistance to magic. Tuatha- Troll hero with innate regeneration and a love for giant weapons. Huhrus- The Ogre from the FE quest, but now he is a champion so you can equip him and have him learn traits as he levels up. Gallowman- An undead master of necromancy. Nen Ratcatcher- A darkling shaman, master of death magic and with his brothers aptitude for Shrink spells. Ascian- A great cat and former assassin for Lady Umber. Mausolos- The tomb guardian, a massive stone golem and defender with the ability to cast Death Ward in battle. Blinding Light- Surrounding enemies must save or be blinded. Special ability of the Lightbringer. Blink- Teleport to any location on the battlefield. Ability granted by the Flickering Ring. Break- Assassin attack that does normal damage and removes the targets defense for 3 turns. Call Lightning- Does lightning damage to all units within the radius. Channel Lightning- Does the units attack as lightning damage. Command- Commander ability that allows another unit to take a turn immediately. Consume Spirit- Special ability of Gallowman, does damage and grants mana if it kills the unit. Cure Plague- Used to complete a quest. Death Ward- Tactical version of the strategic spell with a limited duration. Allows a unit to be reborn if he dies within 5 turns. This is a special ability of Ancient Grave Elementals and Mausolos. Eviscerate- Assassin ability to attack an enemy for an automatic critical hit. Guard- Defender ability to add a unit's defense to up to 3 adjacent allies and it puts the unit in the defensive stance. Gust of Wind- Blows back up to 3 enemies that are adjacent to the caster. Healing Light- heals all allies within 1 tile of the caster. Special ability of Wisps. Inferno- Tactical version of the strategic spell that surrounds the caster with inferno tiles and damages anyone in them. Special ability of Fire Elementals. Inner Fire- Does fire damage at range. Special ability of Cindercorpses. Lightning Bolt- Does 10 lightning damage to all enemies in a 5 tile long line. Lightning Form- Unit transforms into lighting, shooting through 5 tiles and damaging all enemies in those tiles. Unit ends the action at the end of that line. Special ability of Ascian and Bragni. Rain of Arrows- Bow only attack that strikes all enemies within the effected radius. Raise Skeletal Horde- Summon 9 different skeletons into battle. Raise Skeleton- Summon a lowly skeleton. Raise Skeleton has no casting cost. Rescue- Defender ability to switch places with an ally in tactical combat and take another action. Riptide- Do damage to up to 3 adjacent enemies. Shadowshift- Assassin ability to Switch places with an enemy and take another action. Summon Air Elemental- Summons and Air Elemental, if used in Tactical it knocks back enemies around the elemental. Summon Crag Spawn- Summons a Crag spawn and dumps stinking mud in all tiles around him, reducing movement of anyone in them. Summon Delin- Summon Delin, the Pyre of Man for 3 actions. Summon Grave Elemental- Summons a Grave Elemental, if used in tactical all surrounding allies receive Death Ward for 5 turns. Summon Ignys- Summons an Ignys. If used in tactical all surrounding enemies take some fire damage. Summon Lightbringer- Summons a Lightbringer. If used in tactical all surrounding enemies must save or be blinded. Summon Wisp- Summons a Wisp. If used in tactical all surrounding allies are healed. Wall of Fire- Added a tactical version of the Wall of Fire spell. It sets fire to a line of tiles 7 long. Withstand- Defender ability that makes the unit immune to magic damage for until its next action. Bleed- Assassin ability to have damaged units take damage per turn, traits can modify the amount of damage done by bleeding. Immune to Swarm- This unit is immune to its enemies swarm bonuses. Amethyst Collar- Can be used to tame a twisted unit to your control. Angelic Longsword- Longsword that does additional damage vs Undead. Bacco's Hammer- A very crude hammer, but it gets better as the wearer levels. Blessed Hammer- Hammer that does additional damage vs Undead. Brood Cuirass- A spider curiass that retains some of its makers spell resistance. Brood Vambrace- A sharpened vambrace that improves the units attack. Butcher's Axe- Heals the wielders life each time it strikes an enemy. Crossbow- Ranged weapon with a special attack that fires through up to 3 enemies. Dagger of the Leech- Heals the wielders life each time it strikes an enemy. Flickering Ring- Allows the unit to cast blink once per battle. Guardian Blade- Short sword that does double the normal counterattack damage. Heavy Crossbow- Ranged weapon with a special attack that fires through up to 5 enemies. Padded Vest- A very cheap vest, better than nothing, but not by much. Perfect Crossbow- Enchanted crossbow with increased initiative and attack. Ring of Ash- Increases fire damage of the wearer's spells. Ring of Calling- Increases the level of the wearer's summons. Ring of Restoration- Increases the potency of the wearer's healing spells. Ruined Chain Shirt- Still being worn by the skeletons of elementals, and starting sovereigns. Pendulum Axe- Late game axe that does bonus cleave damage. Random events are more common in Legendary Heroes including several large game effecting events. Ascian- You discover ancient tomes about Lady Umbers assassin, you can follow the trail, but it's a dangerous path. Bacco the Beggar- A drunk challenges you to single combat. The Banshee- A necromancer attempts to save his wife form dying. But the life his magic gives her is worse than death. The Mausoleum- A recent storm has opened up a crypt that has been long closed. Ongr the Unbound- An abomination has been loosed in the world. Although armies would do well to avoid him, the one that kills him can claim his sword. The Riddle- Mimbly is back, and he isn't any less insulting. Night of Haunted Dreams- On the night of Shirayn's resurrection the veil between this world and the next is drawn back and the dead flood into the world. The Plague- A plague has spread across your empire. Will you deal with it by finding a spell to sure it, separating the diseased or burning them alive. Each option offers its own challenges. Relias returns from the East to find that the invasion of the fallen hordes has already begun. General Carrodus can't stand against the threat alone and Lord Markin has withdrawn behind the Northern Fence. Found cities and raise an army or the Kingdoms will fall. XP formula is completely new to not be as influenced by combat rating. Previously if you beat something that the game thought was tougher than you, then you would get exponentially more xp. Now that rating modifies the amount of xp (you still get more if you are fighting tougher things), but not are severely. Companies reduced to a size of 6 instead of 7. Adventurer sovereign history gives bonus fame from completing quests. Tower of Dominion provides Fame and negates the City Count Penalty in the city it is built in. Henchmen now use the best available equipment. Henchmen cost Fame to train. There are more creatures in almost all of the goodie huts (larger battles are more common now). Increased the cost per labor to rush from 1 to 1.5. Lowered the amount of monsters around the starting location. Apiaries reduce Unrest in your empire. Pastures improve the hit points of units in your empire. Ancient temples improve Research for your empire. Reduced epic tech pacing form x4 to x3. Relias starts with the Discipline trait instead of the Veteran trait. Most world achievements grant Fame. You can't build Stables (and start collecting Horses) unless you have Mounted Warfare. You can't build Kennels (and start collecting Wargs) unless you have Warg riding. Sand Golems can use the Crushing Blow ability. Shadow Wargs can use the Rush ability. Removed the min turns required to raze cities. Reduced the Mace, Spear and Battle Axe damage slightly. Removed casting time from all summons except the largest (death demon and delin). Moved the summon spells out of the spell ranks and into the Mage tech tree so casters that want to specialize as summoners can spend their trait upgrades doing that. They will get access to lots of summons, but not to non-summon spells. Reduced the Monk staff from 7 attack to 6. Reduced the Crude Club from 6 attack to 5. Reduced research from Conclave level 2 from 4 to 3. Yithril's Great Axes faction ability (renamed to Axe Mastery) gives them dual wield versions of all the axes. They cost more to produce and buy but they have higher attack and init. Fixed stupid bug that negated all the intelligence behind city upgrading (the order of the items in the vector is was choosing from got randomized by the function that gathered them resulting in random choices). This alone makes a huge improvement. New Battle results screen with animated xp bars that ding when you level up. This screen also shows any injuries or effects from the battle so that we don't need additional popups. When you have a unit selected and mouse over another tile it shows you the path the unit would take to that tile as well as how many turns it would take. The Faction Power window now displays the attitude of that player to you. Added an Army management screen when multiple armies are on one tile. Switched the minimap and removed the unnecessary features from it (forests, mountains and chasms) so that the relevant info is more clear. The Turn button will now glow yellow if the player can end the turn, but has idle cities. New Bear model and medallion. New Bear Cub model and Medallion. Adjusted the stats that show up in the unit info window to more usable ones (set these to be controllable form xml in case modders would like to change the ones displayed). New Mountains. New texture, no more environmental creep onto mountains, no more mountaintop snow. More defined terrain. Less animation blending makes the terrain of individual tiles easier to see and less muddy. New lighting with less bloom for more crisp varied colors instead of the washed effect in FE. 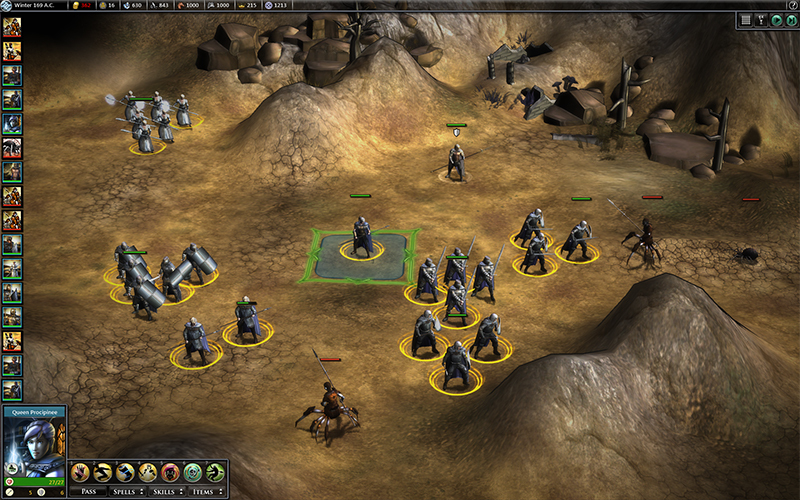 All units are larger on the strategic map, so they are easier to see. Reduced the amount of ground props to make the map more clear and to make game impacting terrain features more recognizable. New Rivers. The banks have been removed, the flow speed has been halved and the surrounding vegetation and rocks have been dramatically reduced. Removed the troop count from the spell selection window (In case you were wondering what those seemingly random numbers were at the bottom of the unit medallions). New Leather armor designs for Tarth. New Leather armor designs for Yithril. Leather armor now supports cloth color (so they are all trimmed in the faction's cloth color). Added dynamic shadows to units. Fixed an issue where heavy black outlines would show up around grass and other textures with transparency. The unit details wnd now plays the music theme of the owner of the subject unit, and doesn't change the music at all if accessed from a tactical battle. The Kingdom victory screen now shows if some of the victory options are disabled in that game. New ground decals for the goodie huts and lairs to distinguish them from the environment. Previously we hid units in the train window if you didnt have any of the materials needed to train them (but they were greyed out if oyu had at least 1). Now we display them greyed out all the time. This caused issues where oyu would unlock mages or juggernauts but not see them because you didnt have any crystal or metal. Hey, that's a new Mage tree screenshot. I think this game is great and has a lot of modding capabilities (the main reason I was able to provide the fixes, I was able to provide). Good to see this game shape up and become a very nice addition to the elemental game series. I too dream of becoming a game designer, glad to see that dream of yours fulfilled. Great work! That is actually an old mage tree screenshot back from when LH was announced. This shouldn't/doesn't surprise me. 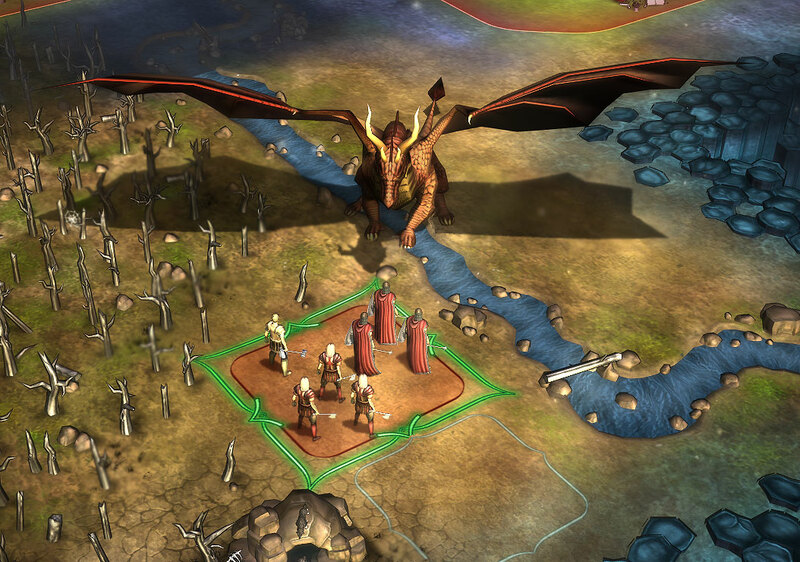 This has been a labor of love for you, Stardock and the community. Looking forward to the 1.0 this week and the future! This really is the human side of creating games. I wish you and everyone at Stardock (as well as everyone in existence ) a wonderful future! Also, the real Legendary Heroes: Derek, Brad, the entire Stardock team and all the people from the community who contributed! Congratulations for a great game!! All that Jello... and no gelatinous cubes?!?!? Thanks to the Star Dock team for making great games and taking care of players! Wow quite a post. Did you start typing this when you started developing LH Derek? Congrats on the upcoming release. Looking forward to it. Thanks for all the effort. I'm not even remotely exaggerating when I say that this game is your best game to date. Better than Galactic Civilizations 2, in my humble opinion. AND I LOVED THE LIVING CRAP OUT OF THAT GAME. You've won me back a hundred times over. Well done. I'm proud to be a Stardock fan! Epic Awesome Sauce Level 10! Thank you very much for the amazing communication. It is great that you share so much interesting information with the community and that you listen to the suggestions of the community. I think LH made a huge leap from a solid game to a very good game during the last week. Now that the AI is behaving itself, I have to say, LH is the best game I have played in a very, very long time. But whatever you do, don't tell any of the Stardock team. Tell them that you think it's rubbish. We don't want them getting to big headed now do we? But we also want them to make more Elemental games, don't we. I wouldn't mind, as long as they are not as rubbish as this one. Thanks, Stardock, for all the hard work! I played a great deal of LH up until the last few patches when real life got in the way of fun unfortunately. I have made a lot of coments and provided feedback online here - I hope that at least some of my ramblings have been of some small use to you and your team. Please accept my sincerest thanks for the efforts of yourself and your team - this is essentially a free new game for me as I bought into the series right at the start. I will play more after in a few weeks when time allows. I wish the game much success in the future. The PC games market has needed a decent non-MMO game of this type for a long time. Maybe each faction could have a small variation of the two overarching tech trees? That's exactly my feeling. Despite I have been critic with some design choices made in the expansion, I do believe this is one of the best games of the last times, not only in the PC world, and not only in the strategy/fantsy/RPG world. Best of luck and lots of success! When is the exact release? And is .95 pretty much the release version? The exact release is tomorrow. .95 is pretty much the release version, but they'll probably have a Day 1 patch like everybody else. Oops, I thought release was today. DOH! Where do you buy the game?